At this moment, more than 10,000 New Yorkers are currently waiting for a lifesaving organ. Every 18 hours a New Yorker dies while waiting for an organ transplant. Every two and a half hours a person’s name is added to the New York State organ transplant waiting list. Each of these people is in desperate need of a chance to keep living. More than 6,500 people a year, about 21 a day, die before that organ ever becomes available. These statistics determine that it is time for a change, more than 90% of New Yorkers support organ donation, but only 25% are registered. One organ donor can save up to eight lives. Thanks to organ donation, more than 2 million years of life have been saved. National Donate Life Month (NDLM) was instituted by Donate Life America in 2003, to be celebrated in April each year. NDLM features an entire month of local, regional and national activities to help encourage Americans to register as organ, eye and tissue donors and to celebrate those that have saved lives through the gift of donation. It can be hard to think about what’s going to happen to your body after you die, let alone donating your organs and tissue. However, being an organ donor is a generous and worthwhile decision that can be a lifesaver. 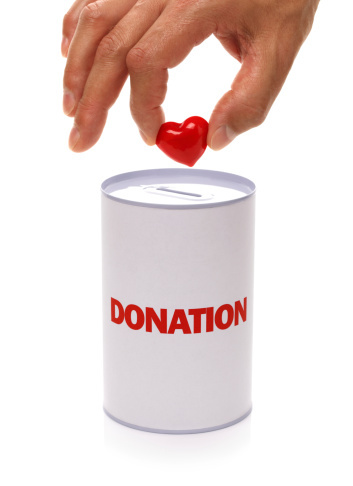 One organ donor can save up to eight lives and enhance the lives of up to 50 through tissue donation. If you’ve never considered organ donation or delayed becoming a donor because of possibly inaccurate information, here are answers to some common organ donation myths and concerns. There is not an age limit to organ donation. The oldest donor in the U.S. was 93 years old. Each case is considered for medical suitability for donation after death has been declared. Saving the patient’s life is the health care provider’s main concern and doctors will do everything they can to save you. Donation is only an option after all attempts to save the patient have failed. It is also a common belief that organ donation contradicts many religions. Most major religions actively support organ donation including Judaism, Buddhism, Islam, Christianity, Taoism and more. Please join Jamaica Hospital, LiveOnNY and special guest Queens Borough President Melinda Katz as we celebrate National Donate Life Month. Together we are raising awareness about the importance of organ donation. On Wednesday, April 20th, inside of the Jamaica Hospital lobby at 12:30 pm you can register to save a life by becoming an organ donor. Representatives from LiveOnNY will be available at the event to provide information about organ donation and assist with enrollment in the New York State Donor Registry. Probably the greatest benefit of organ donation is knowing that you’re saving a life. For more information, please call 718-206-6020.